He was not a world-renowned scientist of his day. 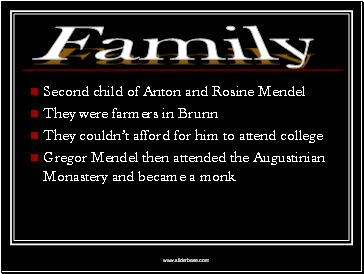 Rather, he was an Augustinian monk who taught natural science to high school students. Gregor J. Mendel, O.S.A., experimental garden (35x7 meters) in the grounds of the Augustinian Monastery in Old Brno.Its appearance before 1922. Courtesy of Villanova University Archives. 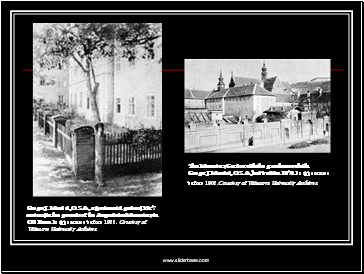 The Monastery Garden with the greenhouse which Gregor J. Mendel, O.S.A., had built in 1870. Its appearance before 1902.Courtesy of Villanova University Archives. 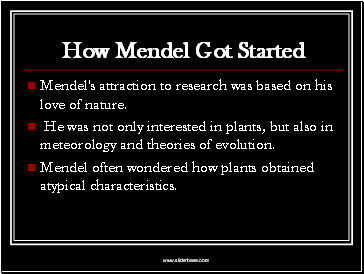 Mendel's attraction to research was based on his love of nature. 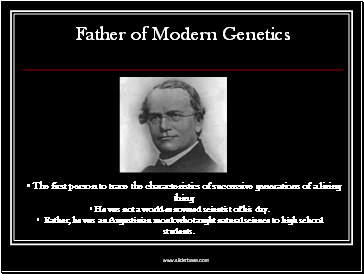 He was not only interested in plants, but also in meteorology and theories of evolution. 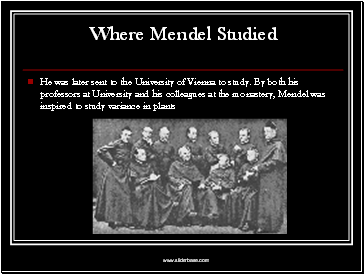 Mendel often wondered how plants obtained atypical characteristics. On a walk around the monastery, he found an atypical variety of an ornamental plant. He took it and planted it next to the typical variety. 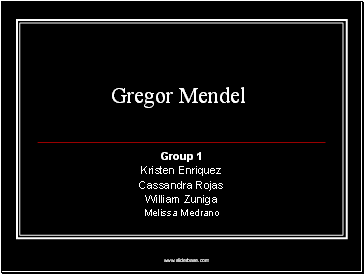 He grew their progeny side by side to see if there would be any approximation of the traits passed on to the next generation. 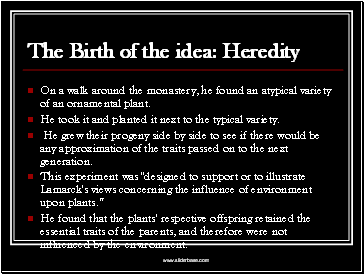 He found that the plants' respective offspring retained the essential traits of the parents, and therefore were not influenced by the environment. 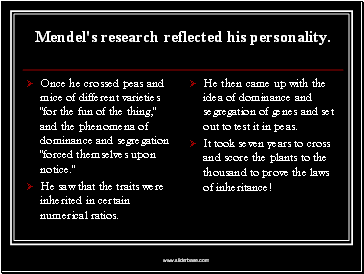 Mendel's research reflected his personality. Once he crossed peas and mice of different varieties "for the fun of the thing," and the phenomena of dominance and segregation "forced themselves upon notice."